Wisdom Science: 7 Most Common Dream Symbols and Their Meanings! 7 Most Common Dream Symbols and Their Meanings! Dreams have been recognized as a relationship to the unconscious. They are not trials to cover your real emotions from the conscious mind, but somewhat they expose more than they hide since they are a window to your consciousness. A team of experts in Kyoto, Japan, who investigated brain scans to recognize the visual imagery of dreams supported this theory. They conclude that both dreams and our waking world in the same manner. Dreams share a close connection in our daily activities. Although there are not definite interpretations of your dreams, the following dream meanings offer a sound starting point to learn your own personal dream meanings. A house as a whole represents your mind. Each room can symbolize different aspect of your personality such as emotions, memories. The interpretation of these dreams depends on the type of the house or the different rooms in it. House is also a symbol of comfort and security. The basement signifies unconscious mind and intuition while the attic refers to hidden memories. 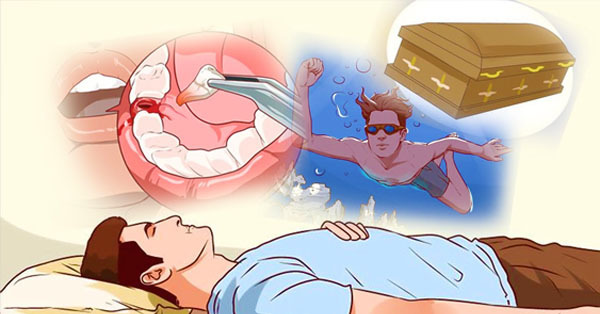 Dreams about teeth are common dream symbols. Having rotten teeth symbolizes anxiety and fear while pulling of teeth means that there is something that needs to come out. Dreams of falling teeth signifies that you will be dealing with new situations that may cause stress, such as fear of loss, new job, hidden lies, or lack of power in a relationship. Money can symbolize to luck, value, and your own perception of self-worth. If you dream that you are winning a lottery, it means that you will make some great change in your lifestyle, and if you dream that you are giving some money away, it symbolizes a fear of loss.